Pool Inspection: Do I need It? How A Term Insurance Works In India? To ensure you get the highest value out of your term insurance plan, you have to understand how term insurance works. Unless you are clear about the basic concept, you won’t be able to locate and purchase your ideal term insurance cover. So find out all the information regarding the term plans before you buy them. Need some help with that? Just read this article and you will have all the info you need at your fingertips. A sufficient cover: The plan you choose must have a sufficient death benefit. You need to calculate your financial liabilities that lie ahead to know exactly how big the term insurance cover should be. For instance, if you have a teenager, you have to make provisions for her college admission fees and marriage costs. Then, if you have elderly parents, you have to keep their health expenses in mind. After calculating all such unavoidable expenses, you can successfully arrive at your ideal term insurance cover. An affordable cost: While you must get the highest possible cover from your term insurance plan, the cost of the plan should also be affordable to you. If the premium is too high, it may become a financial liability for you. To make matters worse, you may even find yourself struggling to pay the premiums on time. And as we all know, a premium default leads to the policy getting deactivated. So choose a plan that has a reasonable premium and make your payments on time to enjoy a continuous life insurance cover. The correct duration: Your term insurance plan should ideally be bought for the duration of your working life, i.e. till the age of 60. So depending on when you buy the plan, it should cover the remaining of your working years. If you buy the plan at 25, it should have a duration of 35 years and if you buy it at 30, it should be for 30 years. Get the picture? The correct payout option: Finally, we come to the very essential component of a term insurance payout. You can choose to have a staggering payout or a lump sum payout for your family. In the former, the death benefit is broken up in a number of installments and paid in parts over many years. It acts as an income replacement. In the latter, the entire death benefit is given in one go. Choose the correct payout plan after seeing how well your family members can manage their financial issues after your demise. If you choose the above mentioned components carefully in a term plan, you will surely be able to redeem the maximum benefits out of the cover. What is a sum assured in Term Insurance? Sum assured is perhaps the most important part of a term insurance plan. It is the amount of money that the insurance provider pledges to pay your nominees after your demise. It is the cover that you buy and maintain the plan for. It is the sum that your beneficiaries get in exchange for the premiums you pay. So to sum it up, the sum assured is the crux of a term life insurance plan and the sole reasons why such a policy is bought. 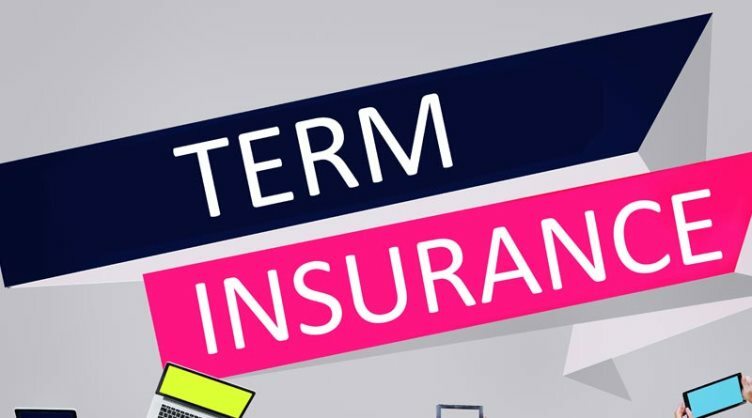 Term insurance indeed is highly beneficial. There are very few other types of life insurance that offer so many benefits under a common umbrella. Term insurance is a no-nonsense, pure form of life insurance. It covers your life at a low cost and allows you to live peacefully knowing if anything happens to you, your family won’t suffer financially. You just need to pick the right plan to ensure you get all the benefits. It is a good idea to do some research and also to compare the plans before making a purchase. Fortunately, it has become very easy to do both these things with the help of the online space. So make use of all the benefits associated with term insurance and get a good life cover for yourself today!